The Philippine president is courting his Asian neighbors. Rodrigo Duterte. Some see him as the “Donald Trump of Southeast Asia.” Others dismiss him as a man of bark and no bite. Some consider him to be a necessary strongman, while others call him a violator of human rights. Duterte’s ascendancy to the presidency of the Philippines has many nations on edge; few more so than America. The United States is understandably anxious because Duterte is rewriting the Philippine-U.S. playbook. The firebrand speeches reveal the direction Duterte is taking his country. The newly elected president is looking to put U.S. relations on hold while invigorating ties with China. He wants to see a more independent Philippines—one that is free from, as he sees it, its “vassal state” or “lapdog” relationship with America. The alarming fact is, Duterte’s insults are not just hot air. The president has taken steps to root out America’s military presence, and in some cases replace it with China. Some, however, see Duterte’s demand as an attempt to remove any witnesses before a heavy-handed crackdown on the island. Earlier this month, the Philippine president declared that the military would now aid the police in anticrime efforts. Duterte’s anticrime policies have drawn significant international criticism as a violation of human rights. 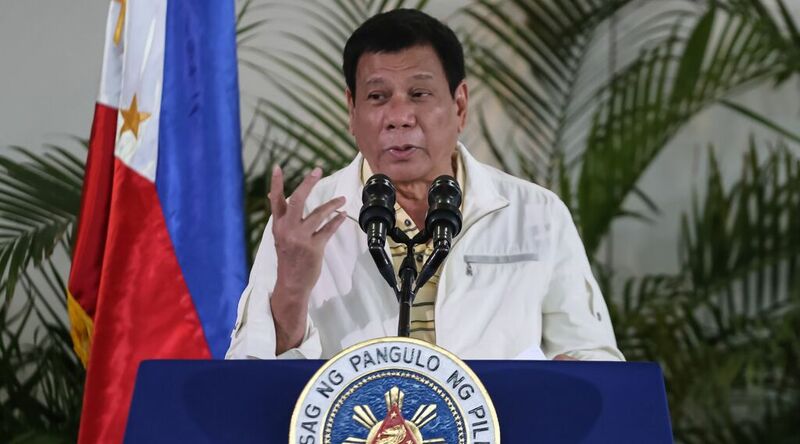 A bombing in Duterte’s home city of Davao in Mindanao earlier this month means the island could be the next target in the president’s crackdown. Regardless of the reasoning, the removal of U.S. troops is devastating for President Obama’s region-wide attempt to draw closer to Asia. The Philippines should be the linchpin in Obama’s strategy—not the one reversing it. Since World War ii, the Philippines has been home to a large U.S. military contingent. Clark Air Base on Luzon Island was once the largest U.S. base outside America. The ruins of Corregidor Island are a testimony to American Gen. Douglas MacArthur’s fight alongside Filipinos against overwhelming Japanese forces. The legacy lives on to some degree; Americans still train alongside Philippine forces throughout the nation. The decision to kick out the U.S. troops jeopardizes a strategic deal signed earlier this year by then-President Benigno Aquino to allow the U.S. to operate out of five bases. One of these was Lumbia Air Base in Mindanao. If American troops are removed from the base, it will cast doubt on the longevity of the March deal. If the U.S. presence at Lumbia Air Base was so casually dismissed by Duterte, its presence on the remaining four bases could be too. The purpose of the deal was to provide America the opportunity to maintain a rotational presence and allow for extended engagement and long-term missions in the region. Scrapping the deal limits America’s presence, shortening Washington’s reach and weakening the U.S. military arm extending into Asia. What South China Sea Dispute? Hedging Chinese aggression in the South China Sea is key to Mr. Obama’s interests in the Philippines. However, Duterte is proving to be an unreliable ally in the fight. The Philippine president promised not to mention the South China Sea at the asean summit—leaning more toward China’s stance that any negotiations should be conducted without Washington present. Duterte has also promised to halt all maritime patrols with foreign nations in an effort to deescalate tensions. This too is in Beijing’s favor. China would prefer not to see cooperation between the U.S. and its allies in the South China Sea. When it comes to confronting China, Duterte’s language lacks the usual brash tone. While comfortable calling President Obama the son of a whore, the Philippine president was much more pleasant to China: “I hope the Chinese may find a place in their hearts for the Filipinos. I hope you treat us [as] your brothers and not enemies and take note of our plight.” Bear in mind, he said this to China—the nation illegally (per the recent ruling at The Hague) occupying Philippine territory and denying Philippine fishermen access to fishing waters. This soft approach shows that Duterte is looking to reset relations with China, even if it means giving up the major political victory he inherited from The Hague when he took office. The latest and perhaps most troubling of Duterte’s actions have been his military dealings with Russia and China. The president has hinted that the Philippines will no longer be so reliant on America for weaponry. According to the Stockholm International Peace Research Institute, 75 percent of Philippine weapons have come from America since the 1950s. But that looks set to change: Duterte said that Russia and China have agreed to a 25-year soft loan that will allow the Philippines to purchase their weapons. After decades of being on the outside, Russia and China will now have a foothold in the Philippines arms market. Just as the new market is opening up, the Philippines defense procurement budget leaped to $526 million—a 25 percent increase over last year. The country clearly has plans on buying more, but not from America. The sale of U.S. arms to allies in Southeast Asia has been a cornerstone in maintaining relations through the region—the use of military bases, another. Washington has had near-exclusive access to the Philippines market for decades—the Philippine-U.S. defense treaty was signed in 1951. That era is coming to a close. The purchase of Chinese arms gives Beijing more opportunity to get involved in the Philippines. Training on Chinese operating systems, joint exercises and military cooperation are the next steps after sales are finalized. But Beijing’s plans are undoubtedly more than just military cooperation. Russia and China must be overjoyed at the prospect of taking Philippine business from the U.S. Both nations have worked feverishly to replace America as the go-to world power: Russia in the Middle East; China in Southeast Asia. Now both have the chance to elbow out America in the Philippines. The Trumpet has written extensively on this shift by America’s traditional Asian alliances away from the U.S. American weakness is as much a facilitator of this change as the rise of China. Many consider Duterte to be irrational and erratic, but could it be that he sees the writing on the wall? China isn’t interested in appeasing America, nor is Russia. Washington’s pivot to Asia has lost all momentum with the Middle East still sapping America’s strength. China’s belligerence shows that there is a new top dog in Asia—and it isn’t America. Despite its many national, religious and political differences, Asia will ultimately be welded together into a common power bloc. It will ultimately send its military muscle into the Middle East at the return of Jesus Christ. This prophecy is recorded in Revelation 16:12 and 16. Few in 1968, or even a year ago, would have considered the Philippines to be a friend of China. But that is the alliance we see forming today. The Philippines’ tiny military means that if Duterte is determined to remove U.S. influence, he must look elsewhere for security. If his recent speeches and actions (and the words written in the Bible itself) are to be taken at face value, then the Philippines is destined for a relationship with China! But that rising power bloc in Asia will be short-lived. “Asia’s unification points to the approach of the most hope-filled event in history!” That hope-filled event is, of course, the return of Jesus Christ. The Asian power bloc plays a pivotal role on the world scene, and it comes about right at the end of the age of man. Right before Christ’s return! Many in the world see the demise of the U.S. and the ascendance of Russia and China, but so few see the reason and the hope that is coming quickly afterward. Request our free booklet Russia and China in Prophecy. It will show you where current events in Asia are leading, as explained in your Bible.